If you or a loved one has been arrested for a crime, understanding the court system can be extremely important. 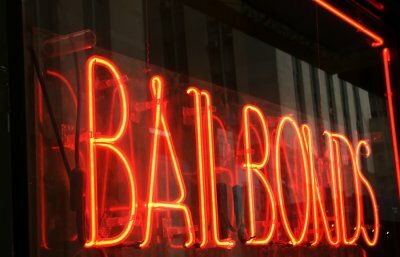 In addition to making smart decisions about planning a defense, understanding the courts will also help you understand how bail bonds work in Upper Marlboro . If you have a loved one who needs to be bailed out of jail, myths about bonds and the bond process can cost you precious time and resources. The best way to get the facts about bail bonds is to contact a reputable bail agent in Baltimore for assistance. Don’t let these common myths about bail interfere with your ability to help your loved one at a critical time. Myth: I need the full amount of the bail in cash. This myth often prevents families from even attempting to bail someone out of jail, because they assume they simply can’t afford it. In reality, you only need the full bail amount if you choose to pay bail in cash directly to the court. The point of a bail bond is to allow you to get your loved one out of jail without needing the whole amount. Your bail bond agent will secure your bond with collateral, and you will pay a percentage of the total bail. Your agent will walk you through the specifics of your financial responsibilities and a plan for payment. Myth: A bail bond agent can make a deal for bail for any defendant. The decision of whether to set bail and how much the bail should be is in the hands of the courts exclusively. A bail bond agent cannot arrange to bail someone out if the courts have decided not to offer bail. Instead, agents come in after bail has already been set. 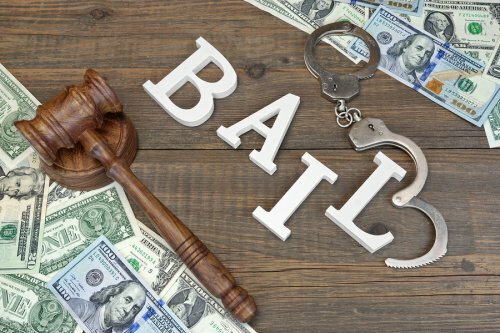 If you think your loved one was denied bail incorrectly or if the bail was set too high, consult with an attorney who can help you appeal the bail decision. Myth: Bail bond fees are refunded if the defendant is found innocent. Bail bond fees are paid for the service of the bail agent posting the bond on your behalf. These fees are not refunded based on the outcome of the case, as they are essentially a transaction cost and compensate the agent for the risk of posting bail with the courts for you. Finding out that a loved one has been arrested can be very distressing. Fortunately, if you need a bail bond agent in Virginia , Dominion Bail Bonds is here to help. We offer bail bonds in Maryland and Virginia and can walk you through the process of how bail bonds work so you can get your loved one home. To bail a loved one out of jail, you will first need to know their bail amount, which will be set at a hearing soon after his or her arrest. Contact us with all of the information about your loved one’s bail, including his or her name, locations, case number, and bail amount, and a bail bond agent can explain to you how to sign a contract for bail and the cost of the bail bond. Once you sign your contact and make payment arrangements, we can post the bond with the court so that your loved one is free to be at home, continue working and caring for his or her family, and work with an attorney to plan a defense to the charges he or she is facing. Bail rules are set to change in Maryland this summer, thanks to new legislation that will take effect in July. Watch this video to find out how posting bail in Upper Marlborough will soon be different. A new law has been passed in Maryland that requires courts to consider a defendant’s ability to pay when they are setting bail amounts. This change means more affordable bail bonds, allowing more accused people to get out of jail while they are awaiting trial. Although the process of working with a bail bondsman and posting bail will not change, it will be easier for lower income families to afford bail bonds and not face the prospect of leaving a loved one to sit in jail because the bail amount is simply too high.